A very pretty flower. The photograph, in Macro still gave more beauty to him. Good photograph. Congratulations, MindStone. This is beautiful work! A prickly lullabye of color piercing the darkness. 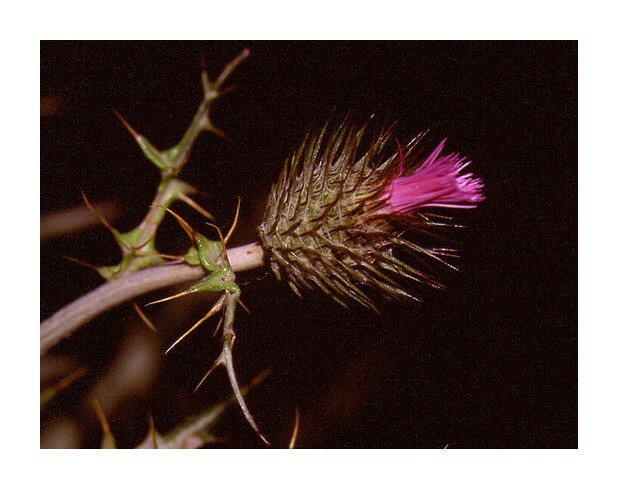 The bud of the " Spear Thistle" is very beautiful . Well photographed . And Mindstone your own portrait is lovely . You must have a rich Daddy to let you have such an expensive camera at your young age ! ! !